Getting yourself into debt is far easier than digging yourself out. Since every debt situation is characterized by a unique blend of unsecured credit products, like credit card and medical bills, personal and business loans, and various other obligations, there’s no “one-size-fits-all” solution. It’s a free country, and no one can force you to take positive action to get your debts under control. In fact, many debtors resolve to do nothing about the problem and let the chips fall where they may. This is the path of least resistance, but it’s likely to be a poor financial decision in the long run. Debt has a way of building slowly and reinforcing itself. For instance, every missed monthly payment adds hundreds of dollars in late fees and annual interest charges to your total debt balance. Poor balance management also slowly eats away at your credit score, reducing your ability to take on new debt, secure an apartment lease and possibly even land a decent job. If you can afford your minimum monthly payments but don’t have the funds to begin paying down your balances in a meaningful way, you’re in for a long slog. Minimum monthly payments do little more than cover your interest charges, especially if you’ve incurred penalty interest as your debt burden has worsened. You can easily sneak by with regular minimum payments if you’re comfortable with living in a state of more or less perpetual debt. Filing for bankruptcy lies at the complete opposite end of the debt-solution spectrum. It’s by far the most drastic debt relief option, and it comes with its fair share of drawbacks. Bankruptcy’s biggest advantage is its ability to forgive a substantial portion of your outstanding debts, although recent law changes make it unlikely that you’ll walk away from the process debt-free. These days, some bankruptcy judges prefer to enroll folks who declare bankruptcy in a long-term repayment program with fairly stringent terms. 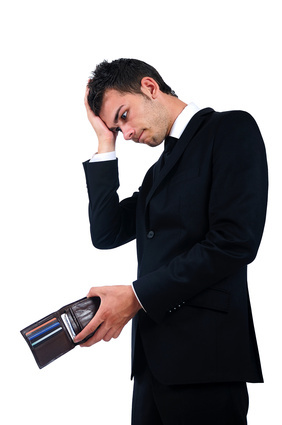 Even unsecured debts like credit cards and medical bills may be subject to repayment. Even if you’re lucky enough to exit the process with little to no remaining debt, your life won’t be the same for a while. Declaring bankruptcy destroys your credit score, making it difficult or impossible to secure a traditional loan and forcing you into the shady world of non-traditional lending. The stain of bankruptcy will remain on your credit report for seven to 10 years, depending on where you live, and the residual effects of your filing may linger for even longer. Treat bankruptcy as a last resort to be considered only after you’ve exhausted less-drastic options like taking out a debt consolidation loan. These are essentially debt swaps that exchange your disparate unsecured obligations for a secured loan. They’re popular because they’re convenient: Instead of managing multiple bills each month and running the risk of missing a payment, they allow you to make just one easy payment each month. Backed by an aggressive marketing campaign, debt consolidation loan providers claim that their products can save the average debtor thousands of dollars per year in interest payments and other associated debt costs. This may be true in theory, but there are reasons to be skeptical. First, debt consolidation loans usually require some form of collateral, which puts you in a serious bind if you suddenly become unable to make your monthly payments. Unsecured loans do exist, but they’re often issued in smaller amounts that may not cover the full balance of your debts, and many lenders require borrowers to maintain an unreasonably high credit score that disqualifies virtually anyone with significant amounts of debt from consideration. Perhaps more importantly, debt consolidation loans aren’t that great of a deal. Your provider may reward your middle-of-the-road credit rating with a 14 percent APR on your debt consolidation loan, which may save you a few hundred dollars per year if the average rate on your current obligations is around 20 percent. If your credit rating is worse, taking out one of these loans may actually cost you. If you’re uncomfortable with the idea of taking out another loan to pay off your debts, consider enrolling in a credit counseling service. These programs are typically not-for-profit and are often sponsored by consortia of banks and credit card companies. Credit counseling services aim to reduce your debts by bundling your balances together and negotiating lower interest rates with your individual creditors. Instead of sending out dozens of small payments each month, you’ll be responsible for a single larger payment to your credit counselor. These payments typically include a monthly fee of $50 or less. Your credit counseling service may be able to reduce the interest rates on your loans by a few percentage points, but they’ll ask a lot in return. Creditor-backed counseling services have an interest in making things difficult for their clients, and they often maintain unreasonable enrollment requirements. Missing even one payment may get you kicked out of your program for a year or more. Unlike credit counseling services, debt settlement providers specialize in actually reducing the total balance of your outstanding debts, often by 50 percent or more. These outfits rarely charge upfront fees for their services, collecting payment only after they’ve negotiated a settlement with each of your creditors. Debt settlement does temporarily hurt your credit rating, but its effects on your financial reputation are less serious and much more short-lived than bankruptcy’s. Pound for pound, debt settlement may be your best debt relief option. Every debt is a little different, and there’s no one with quite the same mixture of unsecured credit obligations as you. Carefully weigh your choices, resist outside pressure, and make the decision that’s best for you.